Luigi Congedo is a Principal at BootstrapLabs, a leading Venture Capital firm based in Silicon Valley and focused on Applied Artificial Intelligence. 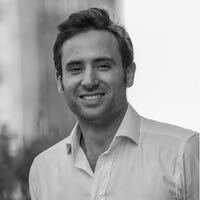 Luigi is responsible for BootstrapLabs`s deal-flow screening, marcom, community engagement and portfolio support, where he actively advise the founders of BootstrapLabs’ portfolio. He is leading the organization of the annual Applied AI Conference bringing together over 800 AI leaders and is a frequent speaker and mentor at different startup programs and events. Luigi is passionate about the positive impact of technology and entrepreneurship on society and is also an active natural connector for many founders in Silicon Valley. Born in Napoli, Luigi graduated from the University of Napoli Federico II with a B.S in Economics. He also earned his Master Degree in International Business in 2013 from the Hult International Business School in San Francisco. Luigi has lived in Italy, Spain, UK, Ireland, and China during his career and is now based in Silicon Valley.